No matter whether you are trying to survive in an inner city district or the woods, the post crisis world is going to be full of bugs. This include mosquitoes, house flies, and other insects that spread disease and can leave you with bites that easily become infected. At the same time, if you have been relying on bug spray or some other chemical means to control insects, you will find it very difficult to obtain them after society collapses. Fortunately, there are some very simple and cheap ways to get rid of mosquitoes and other disease bearing insects. In particular, you can make flying bug catchers from soda bottles. Right now, most people look at mosquitoes and other insects as little more than an annoyance. Even if you go camping or hiking on a regular basis, chances are you just spray on some bug repellent and forget about how much danger you are truly in from insects. While this particular bug catcher will not work on ticks and fleas, at least you will be protected from flying insects that can also do serious harm. In and around gardens where insects can leave behind excrement and eggs that act as pathogen vectors in foods. Just be sure not to use this bug catcher when bees are likely to be around pollinating flowers in the garden. In and around food storage areas. During a time of crisis, preventing food spoilage will be very important. Unfortunately, fruit flies and house flies seem to have an amazing sense for getting into foods just when you need it most for yourself and your family. Fortunately, both of these bugs respond well to the soda bottle bug catcher and are easily dealt with. Kitchens, dining rooms, bedrooms, and other living areas. If people, animals, or food is around, you can bet flying insects will be there as well. It is best to catch these invaders before they lay eggs or leave behind excrement that can contaminate food and water. You can put these bug catchers on top of cabinets or any place else where flying insects may be inclined to gather. 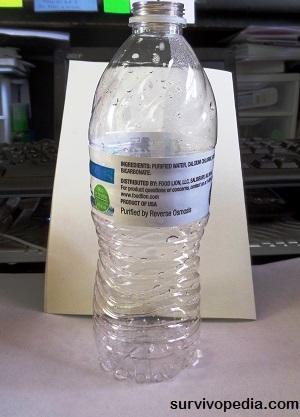 Since these bottles are made of plastic, do not put them near stoves, lamps, or other areas where heat is generated. For these areas, you can make similar bug catchers from suitably shaped glass jars, and then seal them off with plaster or some other non-flammable agent. In and around barns, pastures, and other animal raising areas. No matter how hard you try, having animals around will also make your bug out location a target for flying insects. While some farm animals will eat flying insects, others will be driven mad by them. You can prevent this problem by placing soda bottle bug catchers along fences and other areas where the animals cannot get to them. In and around outhouses and other toilet locations. These areas are perhaps the worst to manage when it comes to flying insects. Since more than one person may be using the facilities, diseases can easily carry from one person to another via insect bites. Unfortunately, dozens of people can become infected before the first person even shows signs of illness. As you may be aware, there are a special group of plants that survive by eating insects. The soda bottle bug catcher is very similar in its operation to the pitcher plants. Basically, the soda bottle contains a bait, or attractant at the bottom of the bottle. 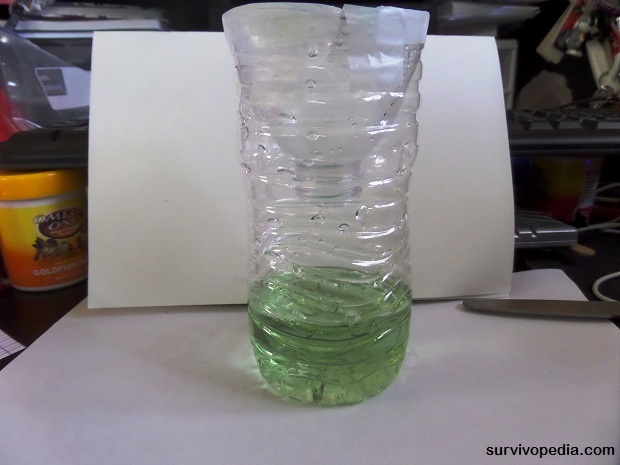 In order to get there, the fly or mosquito must go through the funnel and then land in the bottle below. Once in the bottle, the insects cannot fly back out and eventually fall into the water and die. Step 1: Make sure the soda bottle is empty and clean. 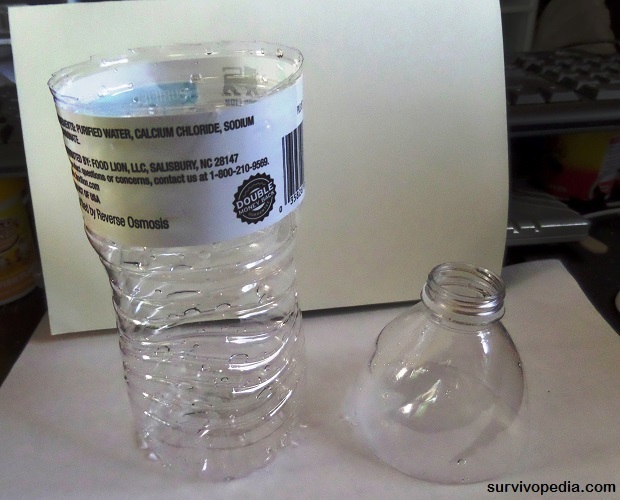 You can use any size bottle for this project. I prefer to use smaller bottles indoors and on counters since they are easier to hide in corners. 2 – 3 liter bottles are more suitable for outdoor areas and heavy infestations. Larger bottles will work better around barns or other areas where flying insects are more likely to gather around. Step 2: Cut all the way around the bottle approximately 1/4 of the way down from the cap area. Step 3: Turn the top upside down and place inside the bottom half. The two halves should make a perfect fit. If the upper portion is too big, cut slits into the sides so that they fold in and conform to the lower section. Step 4: Seal around the rim with tape. This is very important because the bugs may be able to crawl up the sides of the bottle and then through these cracks. Step 5: Put bait in the bottom of the bottle. Different insects will be attracted by different odors. For example, mosquitoes may respond better to brown sugar while house flies may be more attracted to cane sugar or rotting fruit. Regardless of what scent bearing agent you use, make sure it is thoroughly covered by the water and does not give the insects something safe to land on. Step 6 (optional). 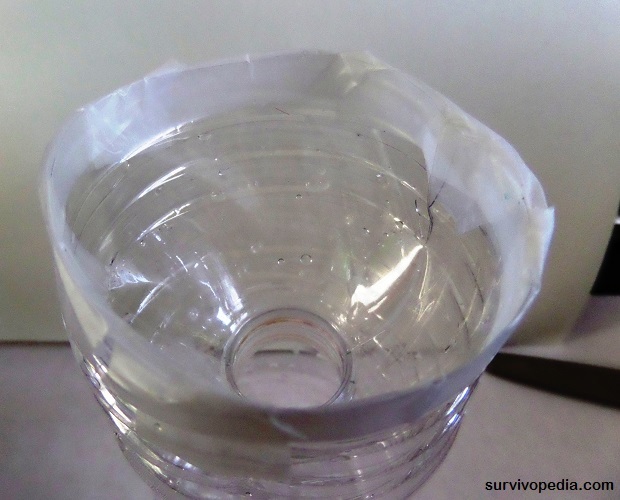 Use the paper punch to make three or four holes at the top of the bug catcher. Use clips and wire to create a suspension mechanism. You can then hang the bug catcher up on a porch, window, or any other area where you might place a hanging basket of plants. Depending on the severity of infestation, you may need to empty and refill the bottles with bait in just a few days. If the bottles aren’t heavily loaded, you may be able to go as long as two weeks before cleaning them and refilling. From fly swatters to ultrasonic repellents, you will find many alternatives for getting rid of mosquitoes and other flying insects. When it comes to a post crisis world, bear in mind that some things that work now may not work after a social collapse. For example, if you rely on ultrasonic bug repellents or electrical zappers, there may not be electricity to power them. 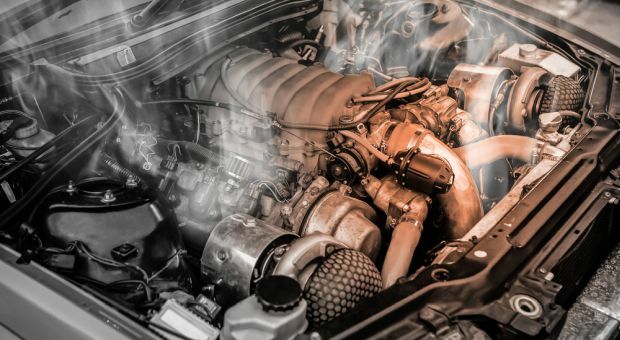 In addition, as these mechanisms age, you may not be able to fabricate, let alone buy replacement parts for them. Once these devices are gone, you will still be stuck with needing to get rid of flying insects. By contrast, even if you run out of soda bottles, it is very easy to take a can or cup, and then place a funnel in it. You can also fabricate suitable shapes from a wide range of materials and use them as the years and decades go by. 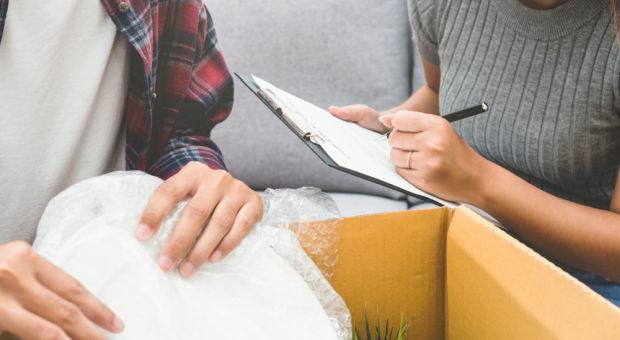 No doubt, there are many preppers that are busy storing up all kinds of bug spray and hoping they will have enough on hand for getting rid of flying insects, and perhaps scare off a few thieves or other intruders in the bargain. On the other hand, flying insects will never become immune to the soda bottle bug catcher. They are always going to be lured into the trap by certain baits, and they will never be able to tread water long enough to avoid drowning or starving to death. So what about sticky strips? 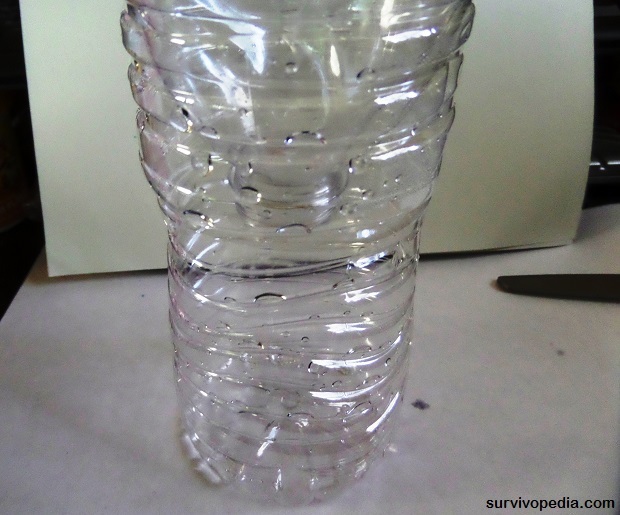 While it is true that these strips are easy enough to store and make, they are not as effective or as cheap to make as soda bottle fly catchers. In addition, glue strips can dry out very quickly when used in an outdoor setting, near fans, or in a breezy room. Needless to say, you will also appreciate the fact that soda bottle fly catchers will not get caught in your hair, on your clothes, or land bits of bugs in your food. If you have ever been bit by a mosquito or house fly, then you know they can do quite a bit of damage. 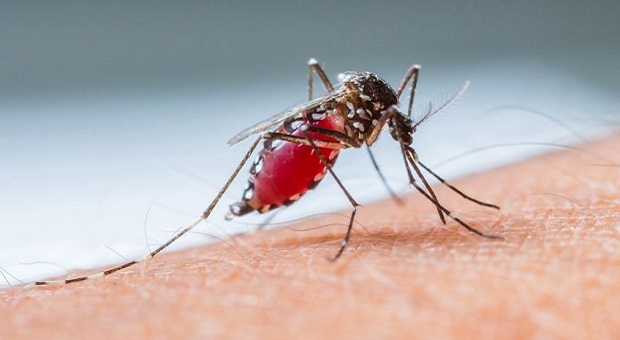 While these bites may not kill you, certain insects can carry very dangerous diseases. After a social collapse, rest assured that diseases carried by mosquitoes are bound to increase as sanitation and common sense devolve. 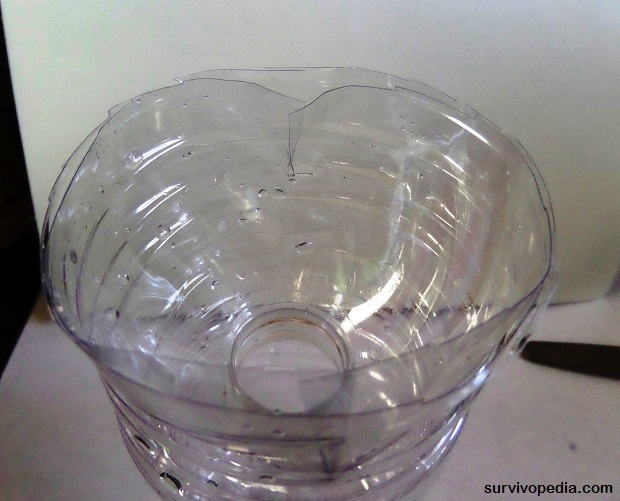 Do not let yourself or your family members fall prey to these diseases just because you overlooked something as simple as a bug catcher made from soda bottles. As easy as this particular project is to assemble, it can save your life and prevent all kinds of distress at the same time. I started doing this about 6 or 7 yrs ago. They work great. Our neighbors had never seen one before and asked a lot of questions..lol. They sure admired my “talent” there are a lot of folks using them now 🙂 Thanks for sharing, what it is all about right now. Great article. Take care.